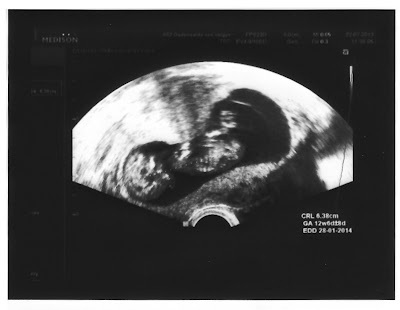 A glimpse of me: Here he/she is! First pic of our sweet little baby! Can you see the little foot?? How precious is that? !